J.R CENTER AND GALLERY UNIT 98, THE ADMIRAL VERNON ANTIQUES CENTER 141-149 PORTOBELLO ROAD NOTTING HILL, LONDON, W11 2DY. ONLY SATURDAYS. active since January, 8, 2012. 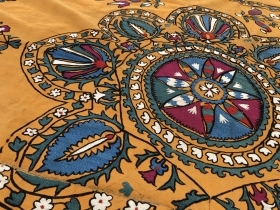 Beautiful 19th century Uzbek Bukhara region Suzani, excellent natural colours and chain stitches. Mint condition. The size is: 60cm x 185cm. 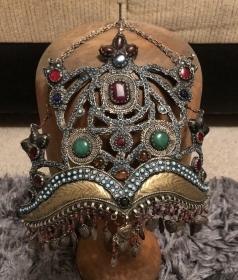 Beautiful Antique Russian? 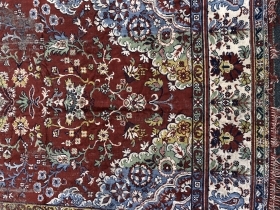 carpet, excellent colours. The size is 220cm by 160cm. More images pls mail me. 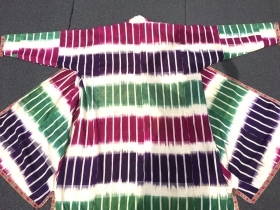 Beautiful Antique Uzbek Ikat Chapan, beautiful natural colours and good condition. 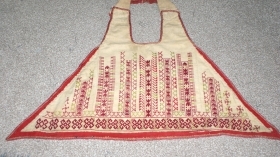 Beautiful Uzbek Cross stitches Lakai, purse. 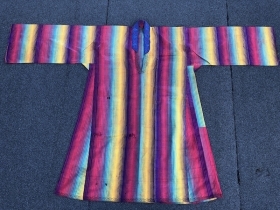 Superb colours and stitches. 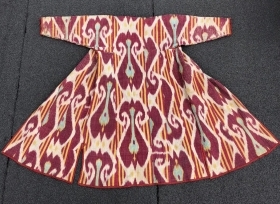 Beautiful Antique Uzbek Ikat adras (silk wrap/ cotton weft) dress, excellent natural colours. Offered reasonable price. 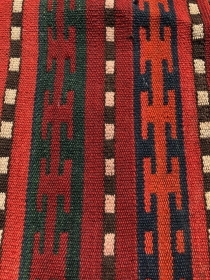 Beautiful Antique Central Asian Uzbek Kilim. excellent colours. Good condition. 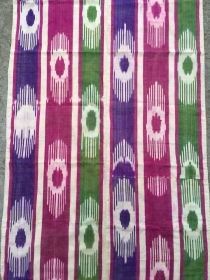 The size is: 58cm x 120cm. Beautiful Antique Central Asian Suzani. Excellent stitches and natural colours. Good condition. The size is: 180cm x 210cm. Fair price. 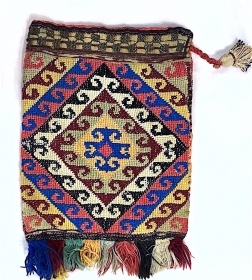 Beautiful Antique Uzbek cross stitches purse, excellent natural colours. Good condition. The size: 23cm x 16cm. 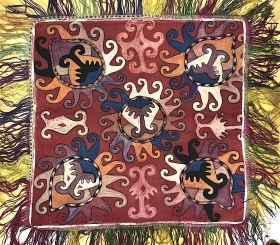 Antique 19th century Uzbek silk on silk Ikat Chapan. 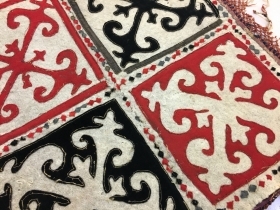 Beautiful natural colours and beautiful pattern(design). Good condition. 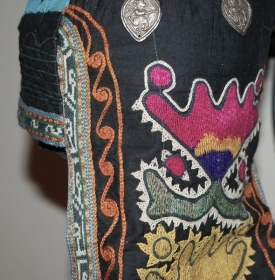 Beautiful Antique 19th century Uzbek Lakai tribe embroidery ( Ayno Halta). Excellent stitches and colours. The size is 60cm x 60cm. 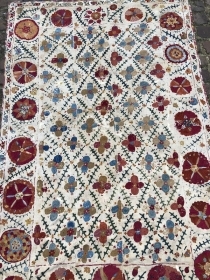 Beautiful Antique 19th century Uzbek Sharisabz region cross stitches embroidery. Excellent natural colours and good condition. The size is 50cm x 60cm. 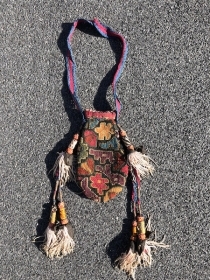 Beautiful Antique very fine wool Central Asian Uzbek bag. Excellent colour. The size is: 65cm x 40cm. Reasonable price. 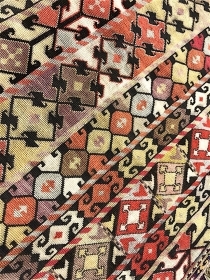 Antique Uzbek Adras ikat panel. Beautiful colours. The size is :32cm x 150cm. 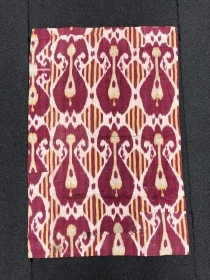 Antique 19th century Uzbek Adras ikat panel. Excellent natural colours. The size is: 40cm x 165cm. Beautiful 19th century Antique Uzbek (Karakalpak Kimishek white oldi) silk embroidery. 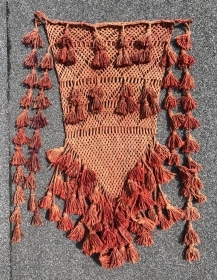 Excellent natural colours and stitches. Rare piece. Offer reasonable price. 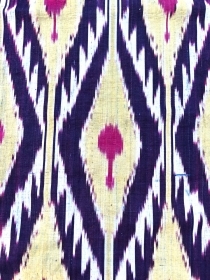 Antique Uzbek Adras Ikat panel(silk wrap/ cotton weft). excellent natural colours and linen. Fair Price. 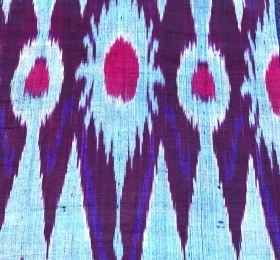 Antique 19th century Uzbek Adras (silk wrap/cotton weft) Ikat panel. Beautiful natural colours. The size is: 88cm x 132cm. Offered reasonable price. 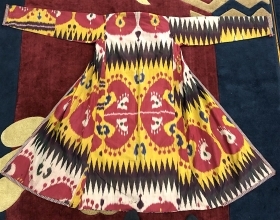 Beautiful Antique Uzbek Ikat Chapan (robe). Excellent natural colours and design. Offered reasonable price. 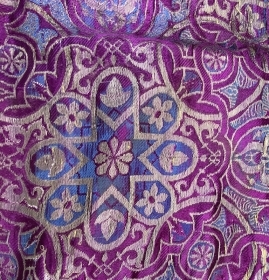 Antique Central Asian Uzbek silk on silk Ikat Chapan (Coat). Excellent natural colours and good condition. Offer reasonable price. 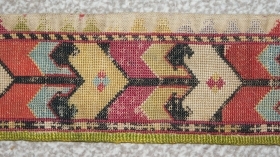 Antique Uzbek cross stitches belt. Excellent colours and stitches. The size is: 113cm x 8cm. offer fair price. 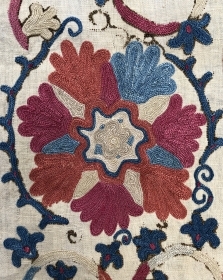 Antique Uzbek cross stitches embroidery. Beautiful colours and stitches. Good condition. The size is: 26cm x 26cm. Offered reasonable price. 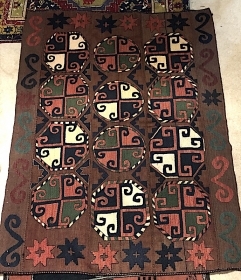 Antique 19th century Uzbek or Kirghiz square felt hanging. Beautiful Colours. Mint condition. 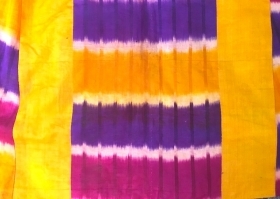 The size is 70cm x 70. Offered reasonable price. 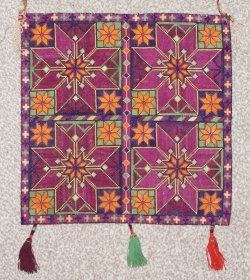 Antique 19th century Turkmen silk embroidery on cotton, cuffs, very fine stitches and colours. Very reasonable price. 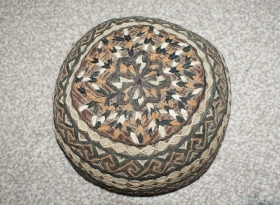 Antique Uzbek hat, good condition. 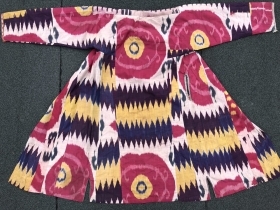 Antique Early 20th century Uzbek Hisari Adras Ikat robe (geometric pattern, design) silk on cotton. Excellent natural colours.